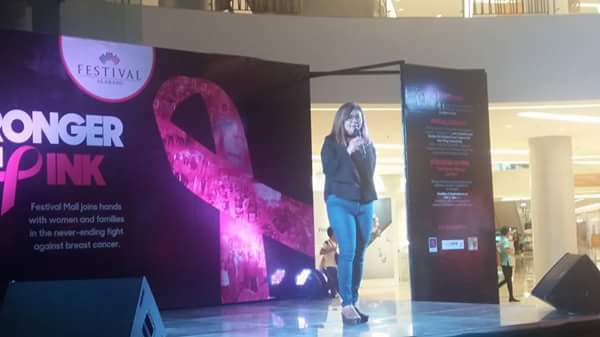 Pink October officially opens today at Festival Mall's Expansion Wing, gathering various advocate groups that proudly wave the pink flag high. No less than Dr. Magdalena Miana, Councilor Stephanie Teves and Ms. Trina Biazon of the LGU's Gender and Development Office graced the occasion with their presence. Festival Mall steps up its 5th annual breast cancer campaign this October to help promote early diagnosis and aid in the treatment of breast cancer with "Stronger in Pink" for this year's theme. It believes that with unity, women are stronger in life, in health, in heart and in mind. 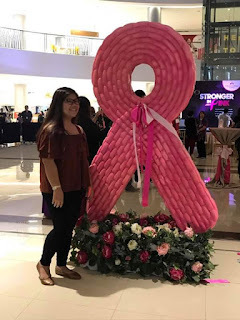 In cooperation with partner organizations, the month-long campaign includes a poster-making contest following the Stronger in Pink theme and depicting the artists interpretation of "Strength in Adversity". 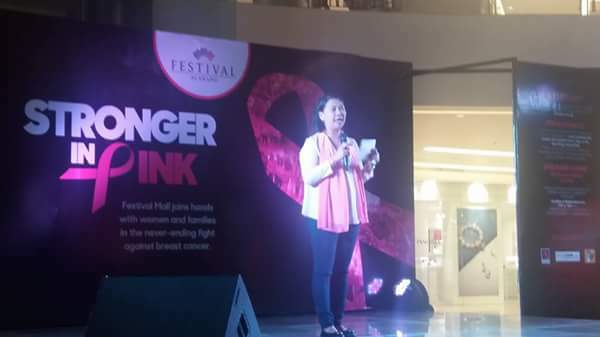 The Pink Exhibit at Festival Mall also runs today until end of the month. Zonta Club of Alabang will conduct the Pink Talk seminar on October 11, 2017 that fosters goodness even in trying times. Guests can look good, can look, feel good, and can think good with take away tips from breast cancer awareness resource speakers. And for all Mondays, Wednesdays, and Fridays of October, Pink Moves encourages all to move and groove during Zumba in Pink 2PM sessions at the Carourel Court. Do join in The Pink Run: D Feeting Breast Cancer slated on October 15, 2017 at the River Park. Initiated by the Manila Chapter of Philippine Society of General Surgeons, this fun run activity has been adopted by the PSGS National Chapter to benefit breast cancer patients and conquerors. The iCanServe Foundation partners with the Gender and Development Office of Muntinlupa on October 18, 2017 for a comprehensive discussion on Breast Cancer Awareness. 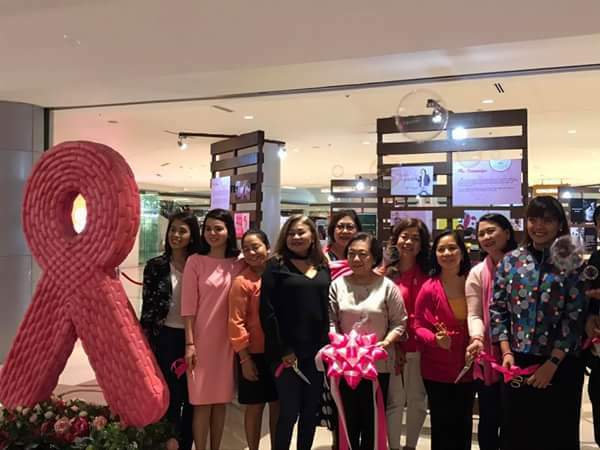 Do watch out for the exclusive discounts, free consultations and many more activities this month for the benefit of Pink October partners such as iCanServe Foundation, Asian Hospital Charities Foundation, and Project Pink.